Minister of Information, Lai Mohammed, says those criticising President Buhari over the suspension of Walter Onnoghen as chief justice of Nigeria (CJN) are “hypocritical and insincere”. There have been an outcry since President Buhari suspended Justice Walter Onnoghen last Friday January 25th. 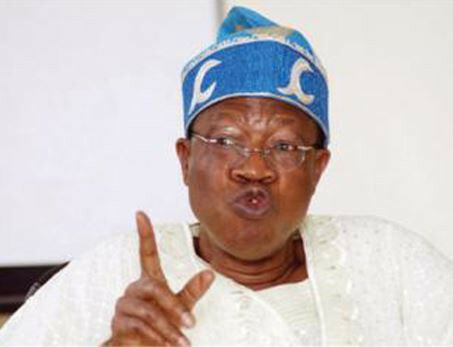 Reacting to the public outcry, Lai Mohammed in an interview with newsmen in Abuja yesterday, said the PDP and others kicking against Onnoghen’s suspension are hypocrites. He particularly slammed PDP for suspending their campaigns over Onnoghen’s suspension. Mohammed added that President Buhari merely carried out an order of a court of competent jurisdiction directing him to suspend the chief justice pending the final determination of the case against him.